When you have a large monitoring setup you need to know when something important is failing or is just offline. If you have setup Microsoft Teams you can send a message to a channel to let the support team repair the service or device with minimal down time. I have set this up in Labtech to send alerts to the alerts channel. Labtech has the nice ability to inject data in a powershell script before it is run, but we will be demonstrating the script by running it directly in powershell. 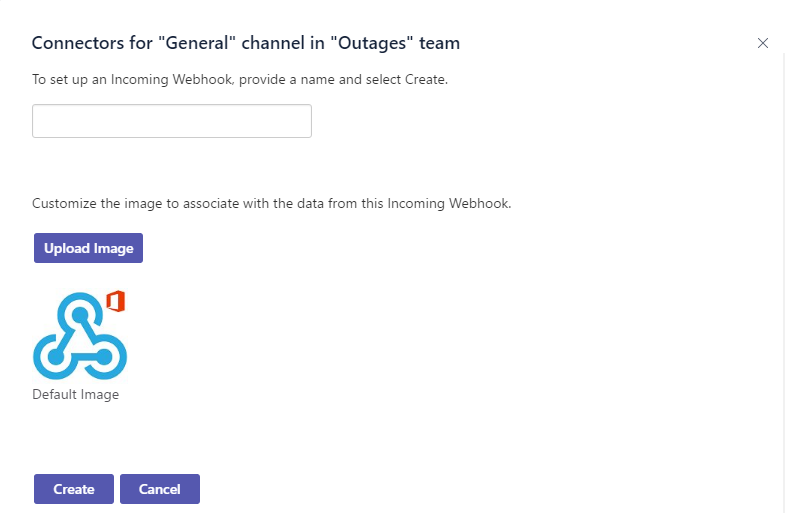 First step is to create a webhook in the MS Teams channel you wish to use. At the time of writing you can only create a webhook from the web version of MS Teams, it will not work in the desktop client. Open the connectors in the channel you want to use for your alerts. Find the “Incoming Webhook” and add it. Next we need to name the connector and assign an avatar, these settings will change how the sender of the message appears in the channel. I recommend setting the name to the service that will send the messages, and the image to the systems icon or something that is attention grabbing. Set the name and image the webhook will use when posting. Once done you will get a url, save a copy of the URL as it is important to the next step. The next step is to copy the following script, you can also download it from here https://github.com/nightred/MSTeams/blob/master/send-msteams-alert.ps1. You will need to edit the $uri line to have the URL that was provided in the Webhook creation step. Once done you can execute the script to see the default alert message. To send your own values to the script you can pass variables when run like the following example. 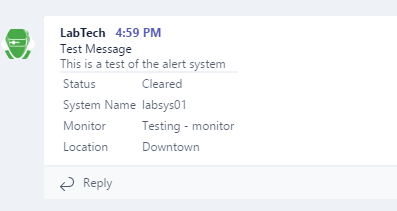 send-msteams-alert.ps1 -message "System is offline" -title "Offline" -status "Critical" -monitor "Offine Check" -location "Downtown" -system "testLab01"
If everything was done correctly you should have a nice message posted to Microsoft Teams like the following. This entry was posted in Alerting, Monitoring, Scripting and tagged Alerting, Microsoft Teams, Monitoring, Powershell, Scripting on February 1, 2017 by nightred.